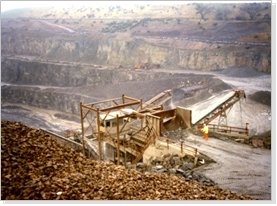 Clarke & Associates has been involved in the quarry	products and building products industries since 1987, and is subsequently considered a specialist to the industry. 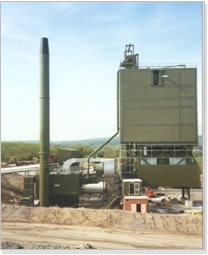 In the early days, the Practice worked primarily for Pioneer and subsequently ARC, but over the last 15 years the business has	expanded its client base to include Aggregate Industries, Hanson, Lafarge Tarmac (as well as their prior separate entities), Midland Quarry Products, Wainwrights, Hillhouse Quarry Group, Euromix and S Walsh & Sons. Clarke & Associates have a broad experience on a wide variety of capital projects, and the various design and construction stages of each. The company is continually sought after for our experience in site masterplanning, utilising vehicle swept path analyses to optimize the space available. We have proved in many instances, what is and isn't possible to avoid costly, over ambitious designs, or how we can reduce costs to within capital expenditure budgets, but ultimately, we create efficient, optimized arrangements. Further to the overall site design, we are able to incorporate paving designs to create a mixture of self cleaning surfaces of silt water whilst avoiding ponding where practicable (particularly on concrete plants), and traditional drainage using drains and underground piped systems, with suitable gradients for foul and surface water, to connect into existing sewers. We also use impermeable surfaces for rainwater harvesting for plant processes, as well as calculate storm water quantities in line with Environment Agency (or their devolved counterpart) requirements. Clients often seek our input on the most cost effective foundations to utilise, particularly as we offer appraisals of ground conditions using trial pits and further site investigation. Whichever foundation type is chosen, we offer a full reinforced concrete design service producing complete sets of general arrangements and RC details. For larger projects, we can produce initial Tender drawings prior to the final Construction drawings for contractors to price against, and then provide a cost comparison to help choose the contractor. 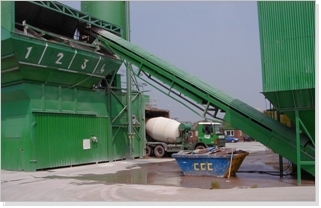 We also design various elements of the plant superstructure, such as conveyors and their supporting trestles and towers, support frames for various elevators, pipes, chutes, screens and other ancilliary equipment, canopies and sheds for hoppers and material storage, and even silos and hoppers, as well as all manor of repair details for all structural aspects. For small and large projects alike, we can also provide advice on suitable contracts, and provide specialist advice on a clause by clause basis. Clarke & Associates also carries out Level 1, 2 and 3 structural inspections of static plant on a nationwide basis.